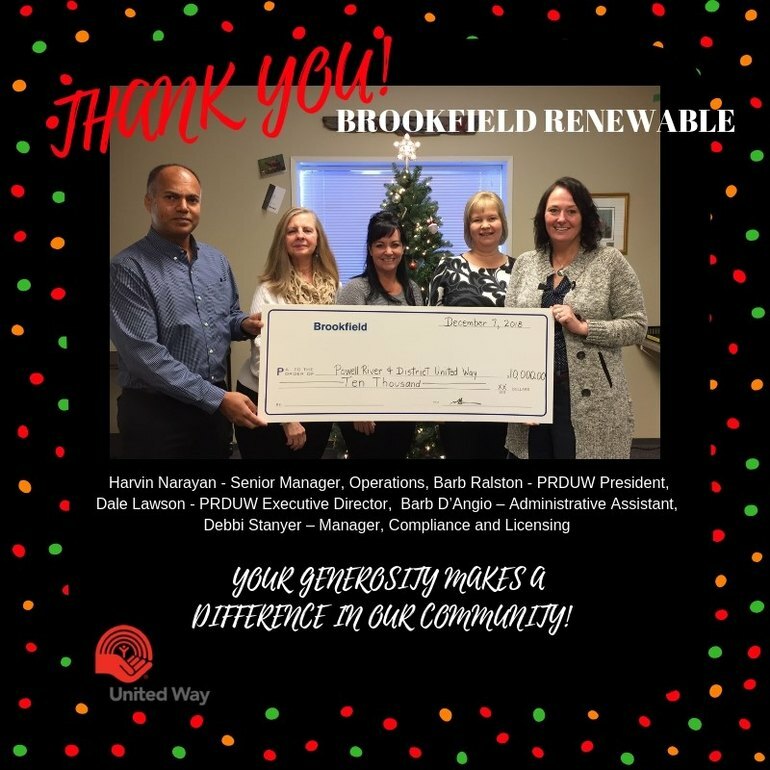 Locally in 2015 we adopted the following vision statement: "focusing our passion and care for the community to achieve meaningful and deliberate local impact." 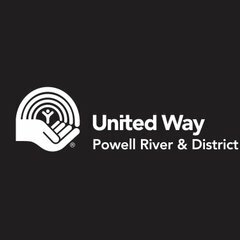 Children and families in Powell River are struggling. *Almost 1 in 3 kids live in poverty, 35% of children 0-6 are considered 'vulnerable' and 31% of kids ages 6-12 are considered 'low' in well-being. We are hoping to see some of these statistics change. We are prioritising our designated local funds on programs that fit within the pillar "all that kids can be". 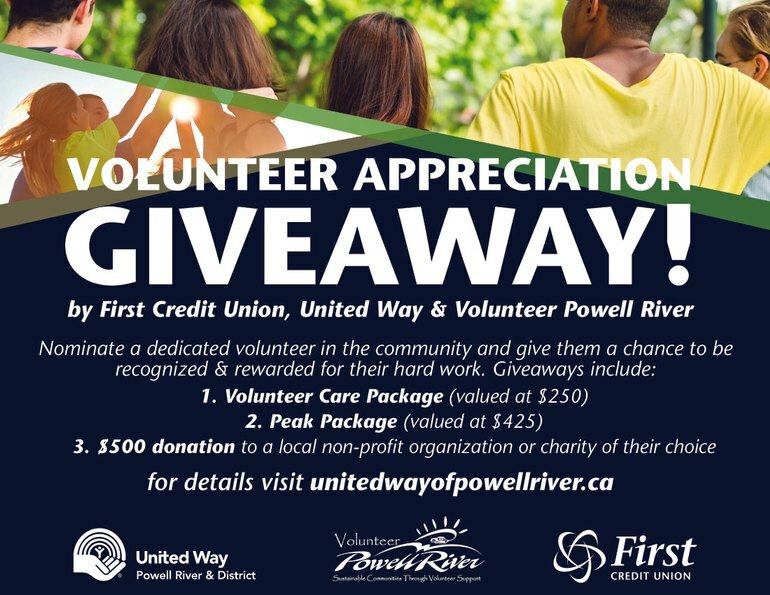 We believe that everyone can make a difference and invite you to give, in any way you can! 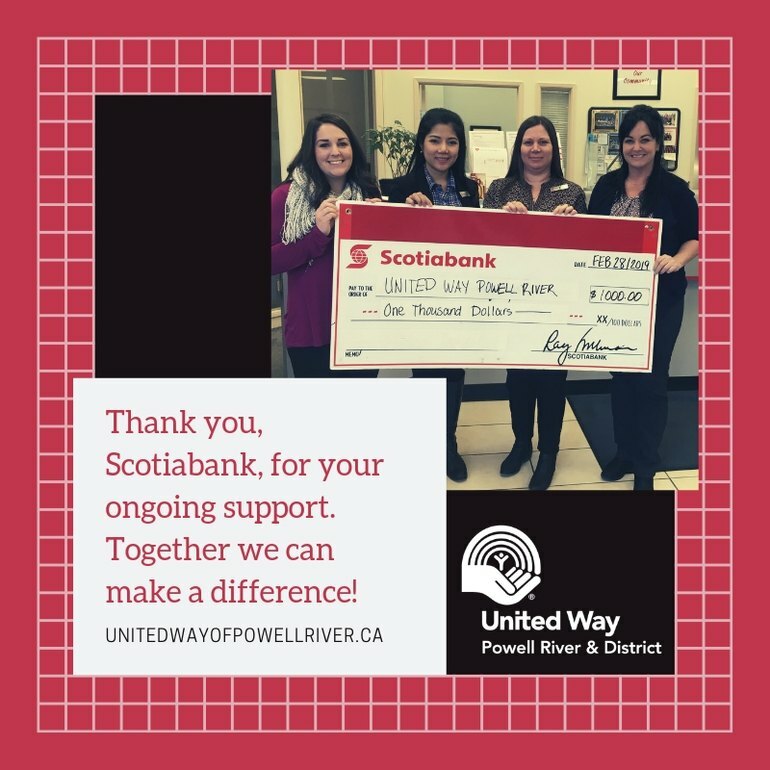 Thank you, Scotiabank, for your ongoing support! Without you, there would be no Way! 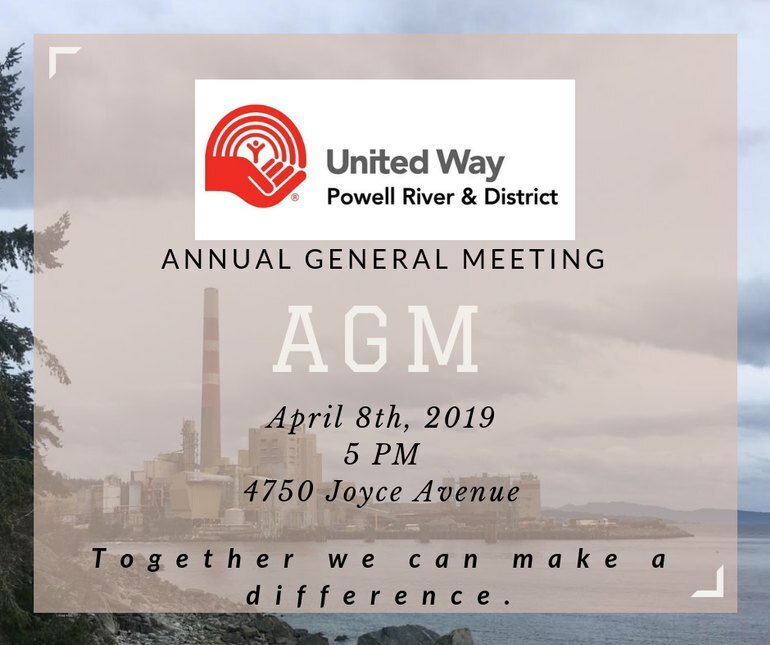 Our Annual General Meeting is upcoming! 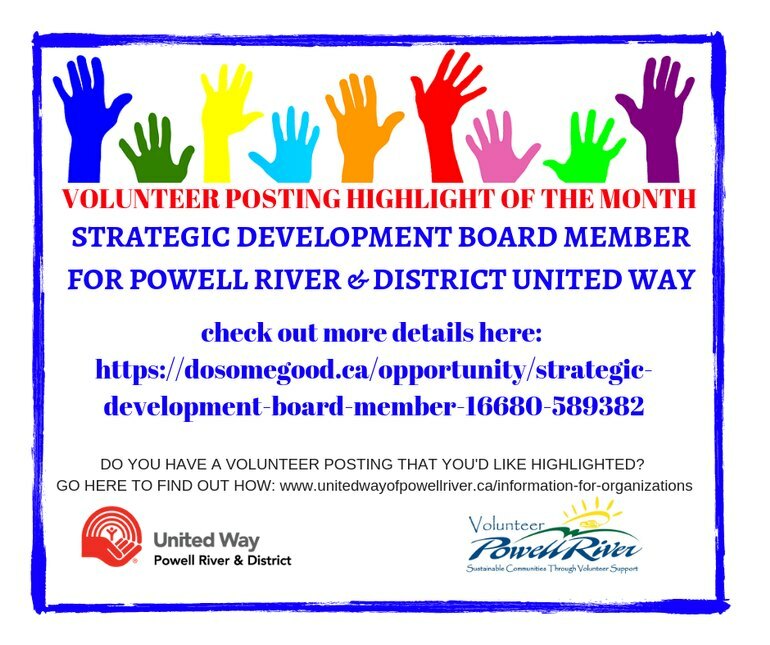 Please join us on April 8th at 5 PM in the United Way offices (4750 Joyce Avenue). Together we can make a difference! 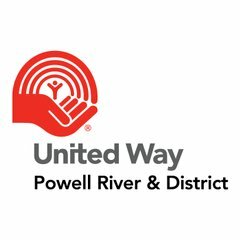 Powell River & District United Way is announcing that applications for program funding are now available on our website (unitedwayofpowellriver.ca)! 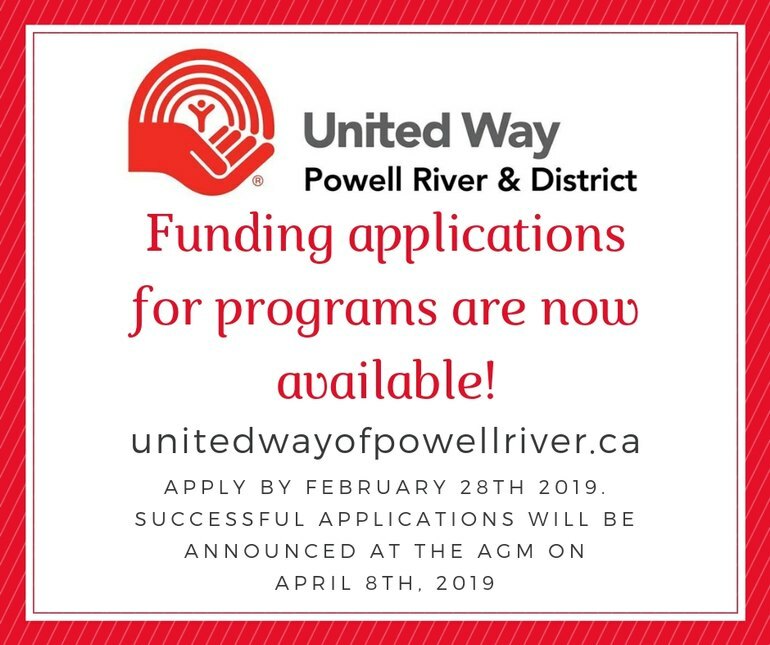 Applications will be accepted until February 28th and successful applicants will be announced at our AGM on April 8th. We fund under the pillars, 'All That Kids Can Be', 'From Poverty to Possibility', and 'Healthy People, Strong Communities'. Details about what kind of programs fall into those categories are contained within the funding application. Please share! 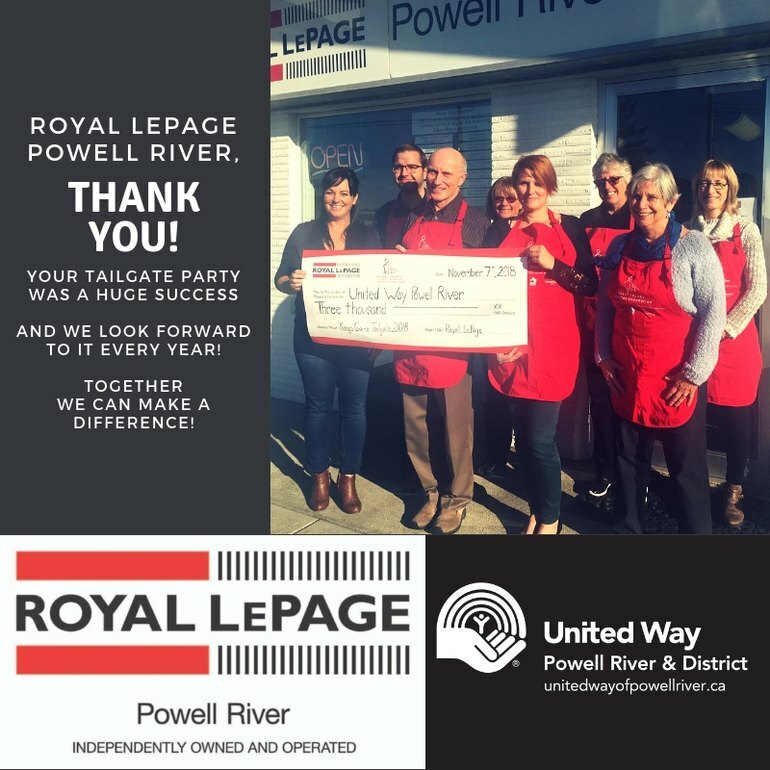 Thank you Royal LePage Powell River! 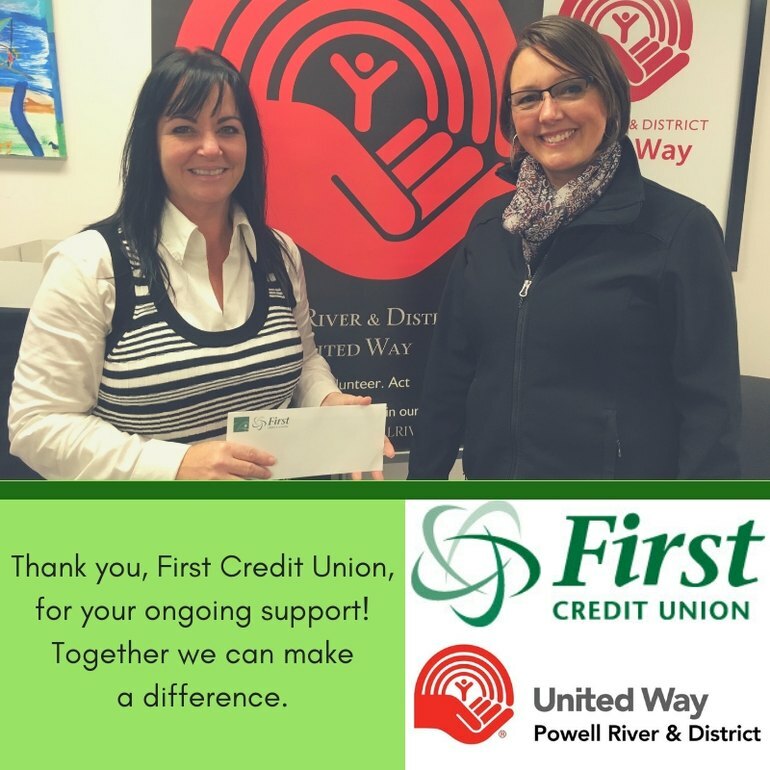 Your ongoing support for our projects and initiatives help to make our community the wonderful place that it is. Help us stock the cupboards for 2019! 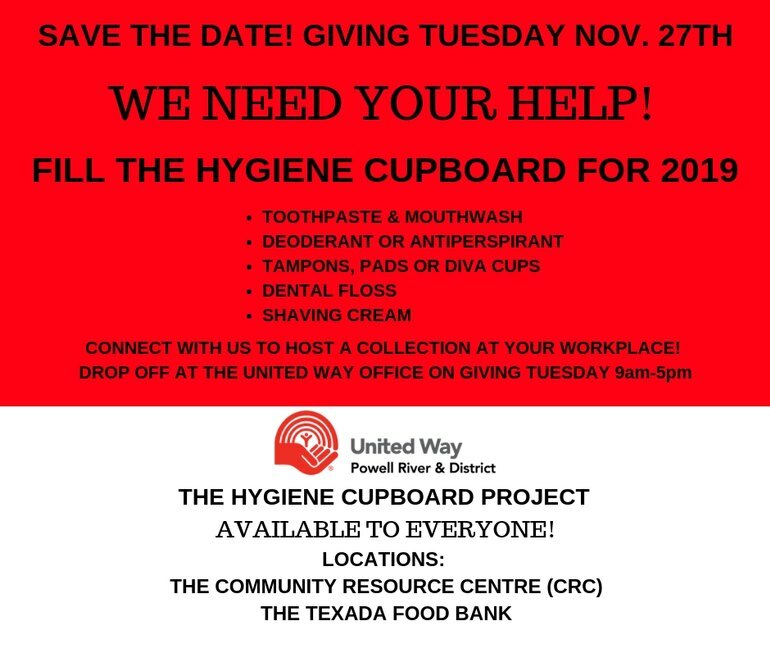 On Giving Tuesday (November 27th), Powell River & District United Way is looking to fill up our Hygiene Cupboard (located at the Community Resource Centre and Texada Food Bank). We believe that every person should have access to basic hygiene supplies. The campaign to stock the cupboard last year was so successful that this year we are only asking for the items that we are running low on stock, such as: dental floss, toothpaste, deodorant/antiperspirant, shaving cream, and tampons/pads. At home and in your workplaces, please collect what you can this month! 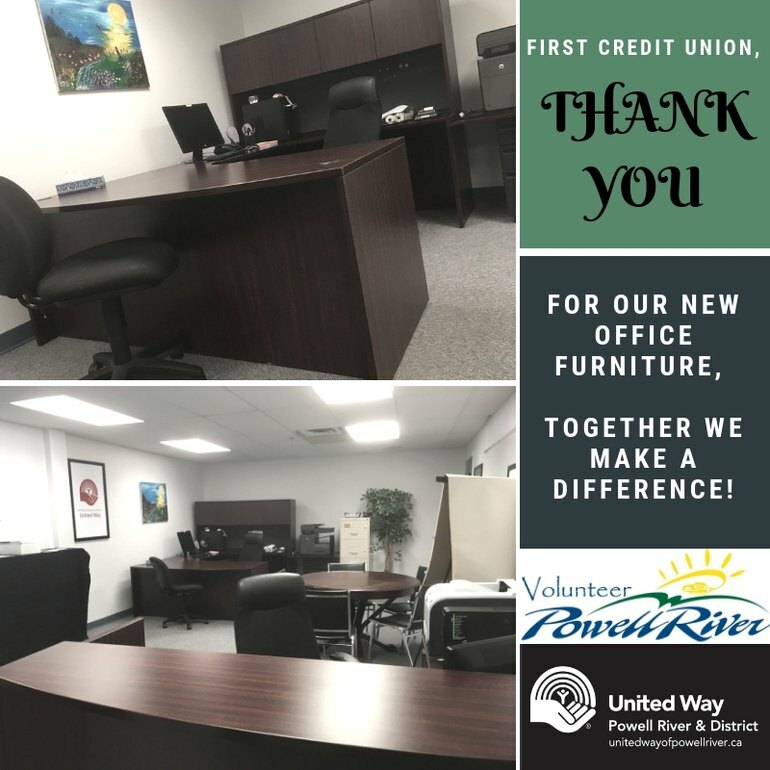 Come to our office on Giving Tuesday (November 27th) at 4750 Joyce Avenue (above RONA and next to Camber College) from 9AM - 5PM with your collected items and share in the success! !